Deep in the ocean, the goby fish and pistol shrimp have a partnership in which they help each other out, called a symbiotic relationship. Learn about this and other symbiotic relationships in this beautiful nonfiction text. Kids will be so absorbed in the reading that they won't realise how much real-life information they're learning. Recalling details from a text is an essential part of understanding what you read. 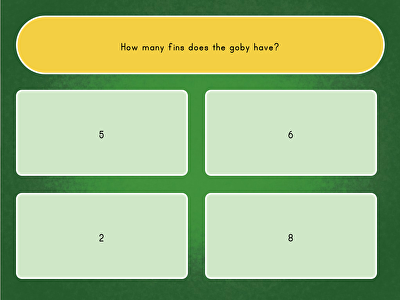 Give kids practise strengthening this important reading comprehension skill with this interactive quiz. 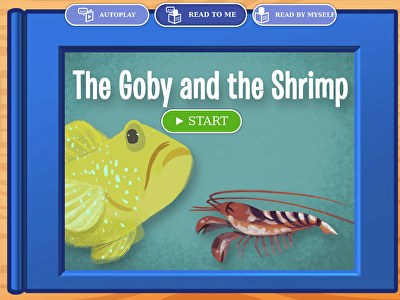 In it, children answer questions about the nonfiction story Symbiotic Relationships, all about the goby fish and pistol shrimp. Defining new vocabulary words is an essential part of understanding the texts you read. Help kids learn the strategies they need to make educated guesses about the meaning of new words with this interactive vocabulary quiz. 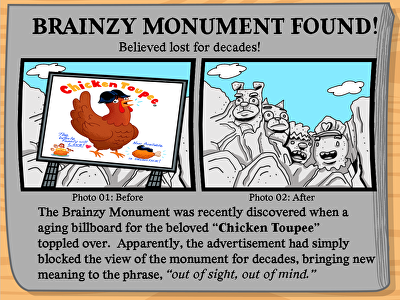 Featuring words from the Symbiotic Relationships, the story gives each new word context to help children learn every definition. Ostriches and penguins are both birds. They have wings but don't fly, and lay eggs, but that's where the similarities end. In this text, kids have the opportunity to compare and contrast these two animals. 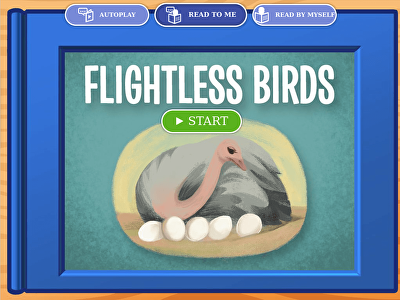 From wingspan to habitat, children will finish with lots of new information about these flightless birds.